John Gale Trophy winning team announced. http://eastcoastshootingclub.com/wp-content/uploads/2019/02/ECSC-50th-20190101-300x169.png 0 0 SMCEditor http://eastcoastshootingclub.com/wp-content/uploads/2019/02/ECSC-50th-20190101-300x169.png SMCEditor2017-01-02 17:09:382017-01-02 17:10:00John Gale Trophy winning team announced. Hot News! The first Club BBQ of the year. 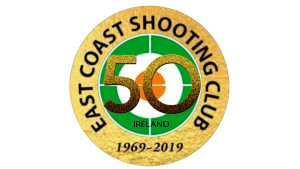 http://eastcoastshootingclub.com/wp-content/uploads/2019/02/ECSC-50th-20190101-300x169.png 0 0 SMCEditor http://eastcoastshootingclub.com/wp-content/uploads/2019/02/ECSC-50th-20190101-300x169.png SMCEditor2016-06-06 18:51:212016-06-06 18:51:21Hot News! The first Club BBQ of the year. The Pistol section has just published the rules for the “Pistol Shooter of the Year” competition which will run from October till next September. The rules and the results for the last two competitions can be found on the Pistol section page.